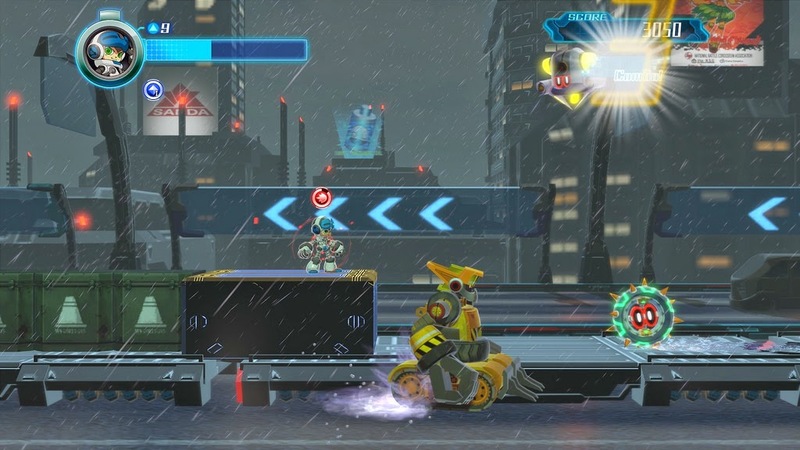 Keiji Inafune and Deep Silver have announced a partnership to bring Mighty No.9 to consoles this September 15th. Mighty No. 9 is truly a transformative experience for the 2D side-scrolling action genre, with deep roots in gaming spanning generations of gamers. Taking into account decades of design experience as well as tens of thousands of pieces of feedback from the Kickstarter backers (thank you! ), comcept and Inti Creates have put together all of the best elements of 8 and 16-bit classics that you love, and infused them with fresh mechanics to reinvigorate the genre. 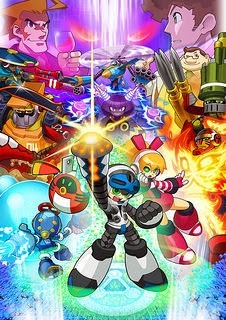 • Play through 12 Unique and Challenging Stages in a single player campaign. • Unlock the New Game+ to add an additional two extra difficulty levels including a punishing Turbo mode. 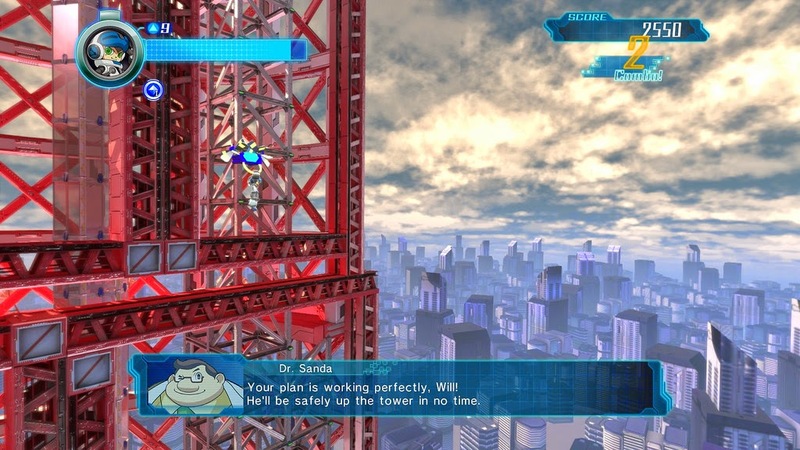 • The Single Player Challenge mode with dozens of mini missions for the hardest of challenges. • Boss Rush Mode: Play through each of the game‘s bosses, back to back, with a clock ticking to keep track of your best time. • Show the world how Mighty you are in the 2 Player Online Race Battle where you compete online, racing through each stage together in a head to head battle – adding an all new twist on versus mode play that will give Mighty No. 9 life well beyond the single-player campaign. • 2 Player Online Co-Op Challenge Mode: take on over a dozen missions online with a friend, playing as Beck and his partner, Call! Use Beck and Call’s different powers together in order to defeat these special challenges. • Toggle between regular and 8-bit music: this game is a veritable who’s who of veteran game composers – Manami Matsumae, Takeshi Tateishi, Ippo Yamada. As such, Mighty No. 9 features an optional chiptune version of the entire game soundtrack which you can toggle on and off. 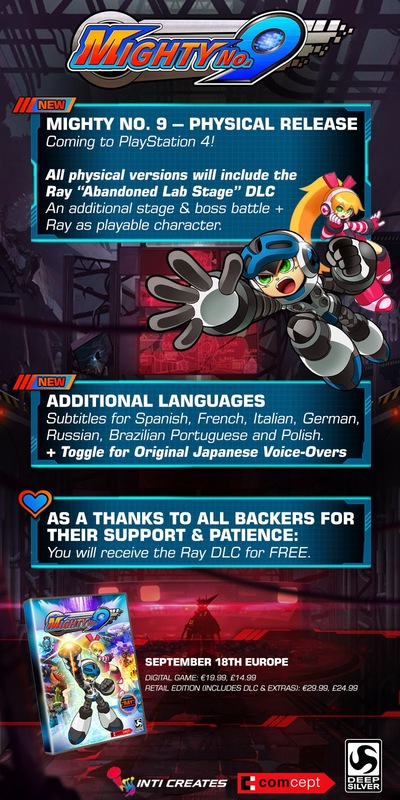 • Brand new Ray DLC which features a new stage with its own unique boss as well as a brand new unlockable playable character.